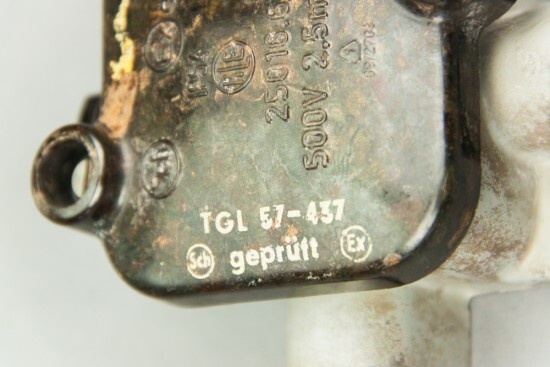 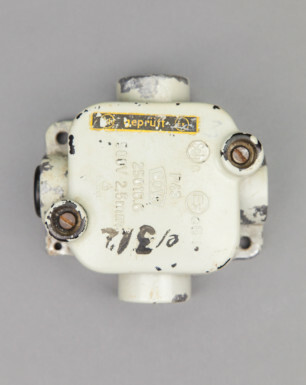 These junction boxes have a typically raw industrial appearance, and are ideally combinable with many of our lamps. 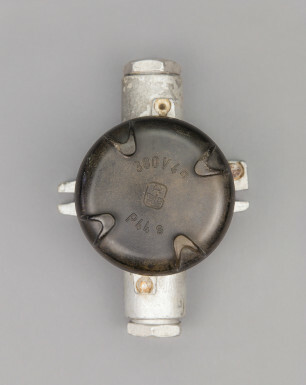 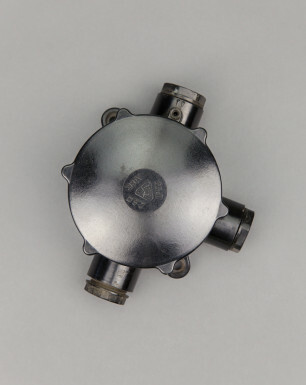 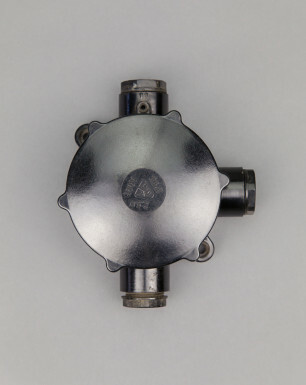 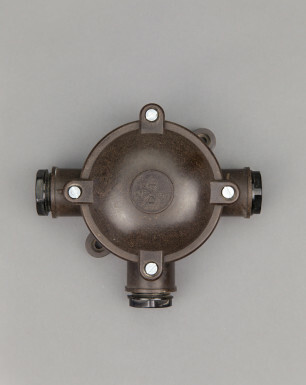 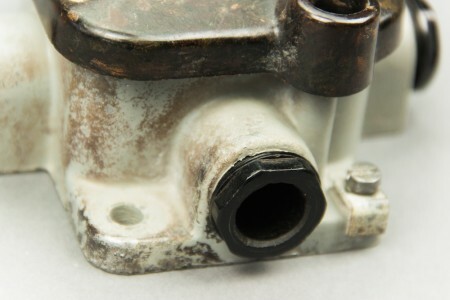 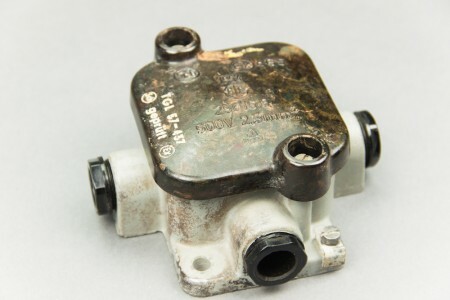 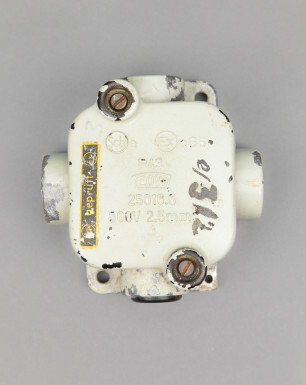 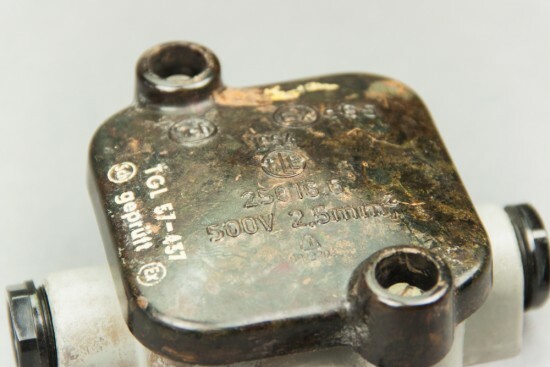 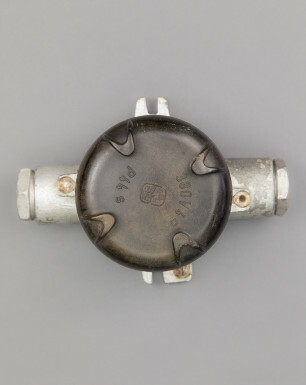 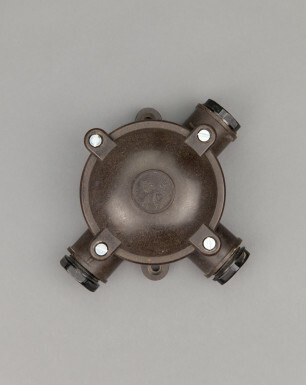 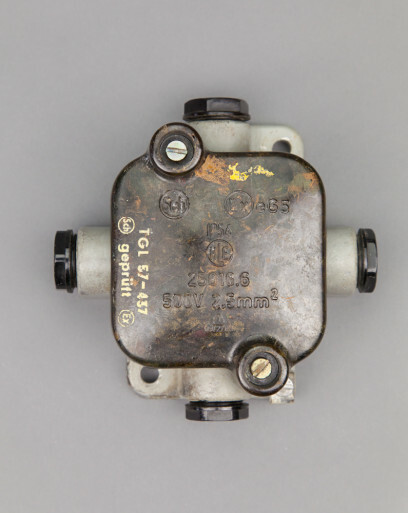 This square variant with a bakelite cover was especially designed to be used in buildings where high concentrations of inflammable gases, vapours, or dusts occurred. 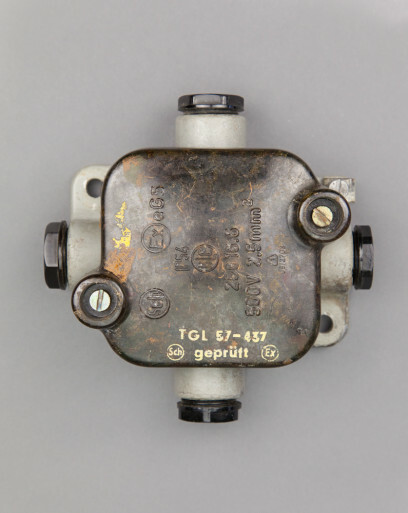 They were commonly used throughout the various industries in the DDR, and salvaged from various industrial premises in East Germany.